I am handing in my late pass because I was tardy to watching The Hate U Give. I had every intention of watching and it just did not happen. More importantly, I wanted to watch it with Babe and the Man-child. If you didn’t get a chance to watch don’t worry. 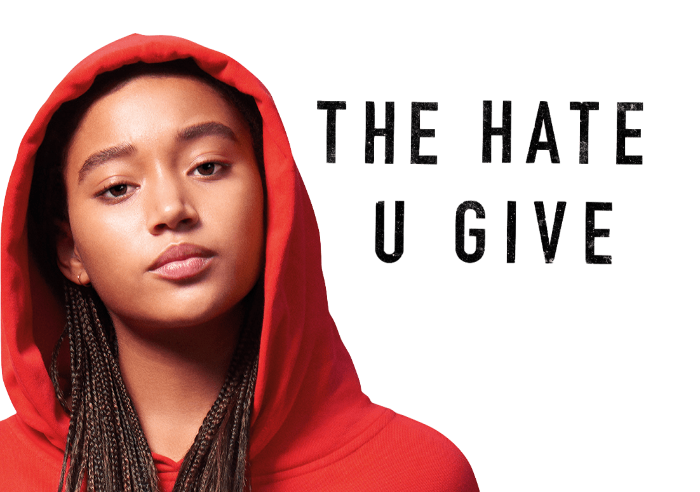 The Hate U Give is out on DVD January 22, 2019. Babe and I settled on the sofa this good Martin Luther King Jr. day and finally watched. 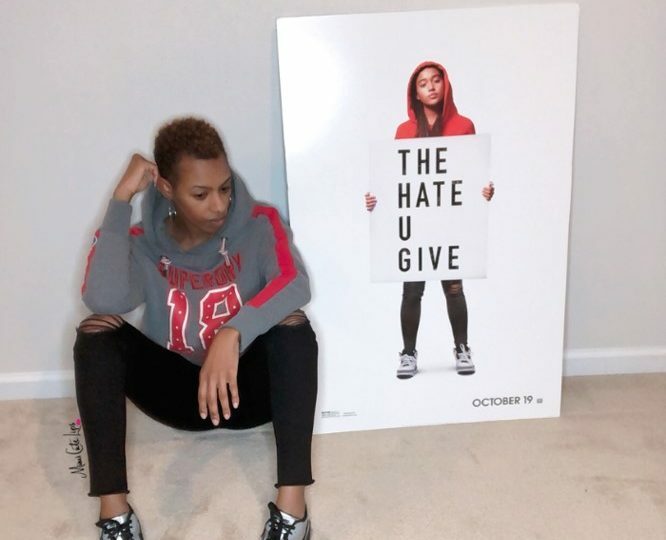 I was given a free copy of The Hate U Give DVD by 20th Century Fox in exchange for my opinion. What is this movie about? Starr Carter is constantly switching between two worlds — the poor, mostly black neighborhood where she lives and the wealthy, mostly white prep school that she attends. The uneasy balance between these worlds is soon shattered when she witnesses the fatal shooting of her childhood best friend at the hands of a police officer. Facing pressure from all sides of the community, Starr must find her voice and decide to stand up for what’s right. Who is in this movie? Amandla Stenberg, Regina Hall, Russell Hornsby, Anthony Mackie, Issa Rae, Common and more. Random Fact: Audrey Wells, the screenwriter who adapted Angie Thomas’s novel into a script, died on October 4, 2018, after a five-and-a-half-year struggle with cancer. The very next day, October 5, 2018, was the US release date for this movie. 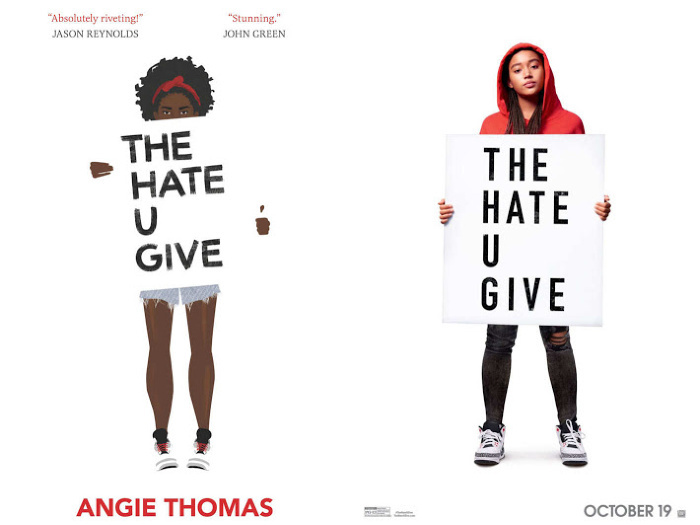 The Hate U Give book was written by Angie Thomas and was published February 28, 2017. The book hit #1 on the New York Times Best Seller List in the Young Adult section and has remained on the list for 98 weeks. My thoughts: Babe and I both enjoyed the movie. It was triggering because white cops killing black people are still a big problem in America. Even worse than them killing us is that they don’t even get convicted of these crimes. *sigh* All of this is played out in the movie. In the movie, Starr [Amandla’s character] attends an all-white school and has to code switch to fit in. While I never had to do that in school I most certainly have to do that in the workplace. The movie is very relevant to the black experience both in a positive and negative light. In the movie, Starr’s Dad Maverick [Russell Hornsby] is constantly teaching his kids to be who they are. He gave them strong names with strong meanings and he wants them to always live up to the meaning. As someone who researched names and meanings for my children, this lesson resonated with me. This movie is also a teachable moment for teens, I will watch again with the Man-child so we can talk to him about the rules of being black so to speak. We talk about the things that go on in the media, but seeing it in the movie is another experience. Now that I’ve finally seen the movie, I have already ordered the book. I want to know what else… they couldn’t possibly capture it all in 2 hours and 13 minutes. Although I thought the movie was good the books are usually even better. The Hate U Give is available on Blu-ray DVD January 22nd! 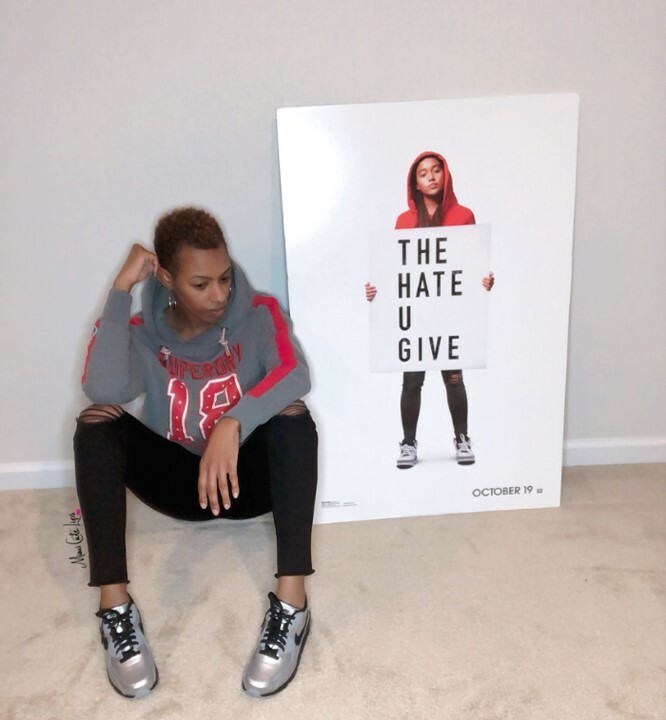 Have you seen The Hate U Give, or read the book? Chat with me in the comments below or FB, IG, and Twitter. This sounds like a really good movie and a tear jerker. I’ve heard a few people discuss this movie. Will definitely watch. It is both of those things for sure. I have not seen The Hate You Give but its definitely on my list of movies to see soon! I remember seeing the clips during commercials and it definitely captured you, so I know its probably good! It really is, but have ice cream and chocolate with you for comfort. This movie was so good! It had me in my feelings and really made me think about things. I think it’s so cool you’re going to watch it again with your son. Yes, it is a ball of feelings. I try to avoid watching sometimes because I know it is real. However, that doesn’t make it go away. I missed this Red Carpet in Atlanta, but I am going to make it a point to see this movie. I think this movie most likely has a strong message especially in the emotional climate we are in today. Yes, you will be ready to punch someone in the face. Handing in my late pass too because I have not seen this movie. It is now on my must watch list thanks to your rwview. It is a must see especially for us. I have been wanting to see this movie for a very long time but still haven’t gotten around to doing so ( so I’m later than late) I love movies and books that keep it real while teaching a lesson. Being a mom of 2 biological boys I have always done what I can to teach them how REAL life can get for them just for being black. Anyway I will make a point to see this movie soon. Thanks for the review. Yes, when it comes to this I certainly worry about my son more. I hate that it is necessary to teach him what to do. I also have to explain that you can do everything right and it still goes wrong. I haven’t seen “The Hate You Give” yet. Everyday in the news it’s a didfeeent Black person dead or hurt at the hands of police. One of the stories bothering me is the killing of Anton Black. It is sad, so sad that this is life. That this is our life. Trigger is the term that I would use for this. I have to be very careful when I watch movies like this. It’s emotionally draining and I have to also make sure that I keep my emotions in check afterwards. Unfortunately, this is exactly what is playing out in our culture today and we have to teach our children about these situations. Sad times that we live in and unfortunately have to adapt to. I totally agree, and I avoid watching movies like this for the exact reason you mentioned. I have to protect my spirit, but I also can’t act like not watching is going to make it go away. I also have to prepare my children as much as I can. My husband and I started to watch this movie, but never finished. But I could absolutely relate the to 20 minutes of it that I did see. Living in an urban black neighborhood and going outside of that to attend a predominately white prep school where you have to learn to communicate differently – I get that. What a juggling act. A major juggling act, I hate that we have to do this.